In the past, offshore Drupal development for agencies has been problematic. But we’ve been running a successful remote software development business since 2005 and we’re strong advocates of the global workforce. Today, offshoring or global delivery isn’t what it was. More agency decision makers are starting to consider it to be a viable model for growth. But there are reasons that it failed in the past, and it’s important for us to learn from them, as you turn to the distributed workforce for the future. For the most part, the biggest factor driving Drupal development agencies towards adopting the offshore delivery model has been cost. According to Deloitte’s 2016 Global Outsourcing Survey, 59% of organizations surveyed consider outsourcing a cost cutting tool, and 57% turn to it to enable focus on their core business. But trying to cut costs by opting for cheaper agencies or freelancers can also result in project failure and jobs being left incomplete due to inexperienced staff and poorly defined processes. Working with providers you can’t fully trust could result in you facing legal risks as well, like confidentiality issues or IP (intellectual property) theft. However with these challenges mitigated, the only way to safely lower your costs without adding risk is through offshoring. Offshoring done right gives agencies the option of paying less and working with established businesses staffed by talented engineers—just not in your own country. 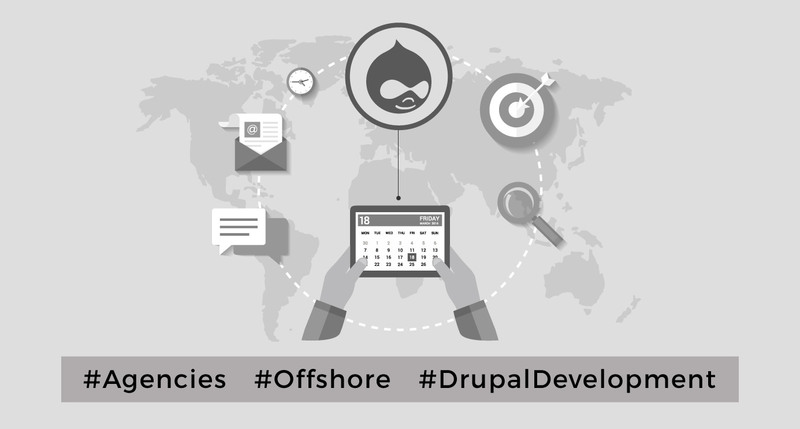 Working with an offshore Drupal development agency is definitely cheaper as you can leverage lower hourly rates. But poor processes and communication failures will make your costs balloon. To keep your costs down, you have to invest in setting up time-tested processes. Simply allocating a large number of people to a project—throwing “talent” at the problem—is not enough to ensure success. If your processes are not mature, trying to outsource Drupal development and getting your distributed team to function seamlessly will be hard. The objective is to make sure there’s a set of processes in place that helps maximize team goals while maintaining a fair degree of flexibility, to allow teams to innovate concurrently. If your company or team leadership isn’t strong, getting alignment across an offshore team will prove to be impossible. Remote teams or blended teams both present different sets of challenges, where managing productivity and building great culture are of prime importance. Strong leadership helps keep everyone respectful, and helps all members see each others’ contributions, ensuring that a blended team doesn’t fall into the “us versus them” crevasse. At the same time, it helps maintain a greater degree of alignment with business goals—both yours and your clients’. Effectively managing offshore teams and creating a sense of common purpose may require you to visit your team members from time to time, invest time in getting to know them, and even gathering insights into their culture that will help you communicate better. Of course any offshore team will face remote work/distributed work problems; it’s the nature of the game. But in part, the criticism of the global delivery model is the same kind of criticism given to the remote work delivery ecosystem. A lot of people say that it really doesn’t work. A lot of reasons are offered for this—but ultimately, we’ve found it’s all in the execution. Working with blended teams located in different time zones can be challenging. Phone calls, meetings, and deadlines have to be planned keeping different team members’ availability in view. Often, this also leads to longer turnaround times, as key people from one team will likely not be available when the other team is required to make a decision. Extreme time zone differences can get very frustrating for all team members over time. However, embracing the time zone difference as a valuable facilitator can help you learn how to use it to your advantage. You can then leverage time zone differences to maximize your team’s efficiency. Remote teams undeniably face enormous communication challenges. Members of agile development teams who may be used to working in close proximity to their teammates may find it challenging to stay in sync in a remote work setting, where there is no face-to-face interaction. However, we’ve now come a long way from trying to do everything over email. Everything from instant messaging to collaborative tech tools to video conferencing is available to the modern workforce. 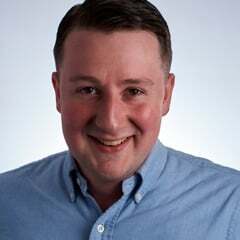 There are also collaborative distributed staff tools that allow offshore agile team members to stay in touch and up-to-date with each other’s progress, like JIRA and Confluence. And organizations that want to empower their workforce should be making the best use of these. Members of remote teams who speak different languages or come from different geographies may not be able to understand nuances in each others’ speech. This can mean expectations are not communicated effectively, or that problems are not clearly understood. In the long term, this can result in a failure to align with the business strategy. On the flip side, it can also mean that people are able to cut through the chatter and jump straight to the meaningful work—provided that they have clear expectations mapped out for them. Meetings become more focused and effective as team members are conscious of people making the additional effort required to coordinate and log in from different time zones. One way to sidestep potential cultural conflicts is to ensure that you only onboard people with excellent soft skills. It could also help to invest in getting people to fly across to meet other teams periodically. This will let them get to know each other and develop a better understanding of their work styles. It would also help your engineers get a deeper understanding of your business objectives. At Axelerant, we’ve found that it can be highly beneficial to have our Scrum Masters or Success Managers be people who are familiar with different cultures. This lets them see how potential conflicts may be brewing between team members, and they can then step in and sensitize members to cultural nuances as needed. Developers in other countries may not have the same expectations around code quality as you do. Or it may be that your offshore team is made up of young, inexperienced developers who have yet to prove their mettle. This won’t work. Your quality control processes and talent selections while working with a remote team have to be stringent. Ensure that your team follows best practices, and establish clear rules and guidelines wherever possible. At the same time, hiring staff from all over the world also means you have access to talent and knowledge that would not be available to you in a co-located team. This gives you a huge advantage over your competitors. Agencies making offshoring work effectively for them focus on building high performing teams. They look for ways to establish a common purpose, goals and working styles between their team members. They work hard to ensure good communication and adequate information sharing, and to set clear SLA’s and meet them. Successful global delivery teams keep an eye on the end goal, but are also flexible enough to respond rapidly to changing needs. When projects get challenging, instead of resorting to blame games, these teams double down and and sharpen their focus on communicating continuously, establishing clarity in requirements, and gathering feedback from all stakeholders. This helps them refine delivery processes, anticipate issues, implement solutions, and manage inefficiencies better. These are also teams where staff members are invested and valued, not just cogs in a machine. At Axelerant, our staff members have access to a wide range of benefits. Our hiring and induction processes are tailored to onboard only the best fit candidates with great communication skills and a high degree of enthusiasm for their work. We help our team members continue to grow by funding their learning and certifications, and actively provide them mentoring and support. We also invest in our people by offering them communication and empathy workshops, and even providing them a full time Life Coach to help address any challenges they’re facing. We work to build a healthy culture that recognizes accomplishments. In short, we treat our staff members as stakeholders. Ultimately, the success of your global team is less about where your team is located, and more about how much you invest into making them a tightly knit, high-functioning unit. It’s not co-location that guarantees great teams. It’s the effort you put into them.